Spacious cottage with a lot of privacy just above beautiful and non-touristy Zaga beach. Embedded in lush, almost tropical vegetation. Very relaxing and very friendly staff. I can only recommend Sipsas Villas. 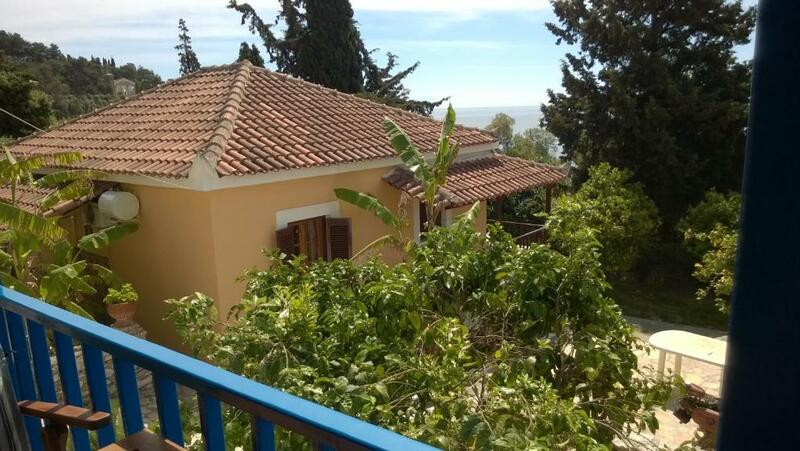 The location of the house(s) is superb, very near to the beach, to the grocery store, the town of Koroni, with very convenient parking. 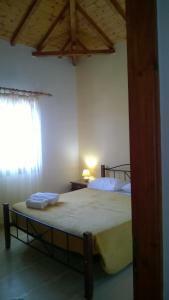 The apartments are very close to Zaga beach, less than 5 minute walk, the beach is 3km long so plenty of space! There are sunbeds to rent in the busier end near the taverna, otherwise plenty of space if you have your own parasol and walk a little further. The walk into town is about 15 minutes but it is very steep with lots of steps to negotiate, no good for anyone that has difficulty walking or is unsteady on their feet. The hosts were very helpful especially when my son stepped on something in the sea, they helped with first aid, thankfully turned out not to be serious. We loved Koroni, plenty of restaurants to choose from, the town beach is also lovely with a great taverna serving delicious food. We'll be back! Amazing view, very close to a very nice sandy beach and the castle. Specious with big rooms, a huge balcony and even a back yard. Our hosts had thought of everything.....we did not have to go out to buy any equipment at all. The terrace overlooking fruit trees to the sea was delightful for breakfast and for evening relaxation. Everything worked well; the bathroom with excellent non-flooding shower, the air conditioning in the bedrooms for easy sleep, the well equipped kitchen (better than our own in some ways). We were even offered the opportunity to leave shopping at the Hotel Diana in town and have it delivered; so many thoughtful extras. L'emplacement de la maison, tranquillité à 1 minutes à pied de la plage de zaga beach. La tranquillità, la vicinanza alla spiaggia e al mini market, le zanzariere a tutte le finestre, l'arredo esterno. Τέλεια θέα, ωραίο μπαλκόνι, άνετοι χώροι με όλα όσα χρειάζεται μία οικογένεια. Έξοχη θέα προς τη θάλασσα και την Παναγία Ελεήστρια, πλήρες σπίτι με όλες τις οικιακές συσκευές (ακόμη και πλυντήριο) πάρα πολύ καλή παραλία στα 100 μέτρα. Οι οικοδεσπότες πολύ καλοί και φιλικοί. Τα διαμερίσματα είναι πολύ ευρύχωρα. Lock in a great price for Sipsas Villas – rated 9.3 by recent guests! One of our top picks in Koroni.Sipsas Villas is conveniently located just a 5-minute walk from the center of Koroni and 150 feet away from the sandy Zaga Beach. It offers fully equipped accommodations with free Wi-Fi and view of the Messinian Gulf. The air-conditioned apartments at Sipsas are traditionally decorated and open out to a private patio. 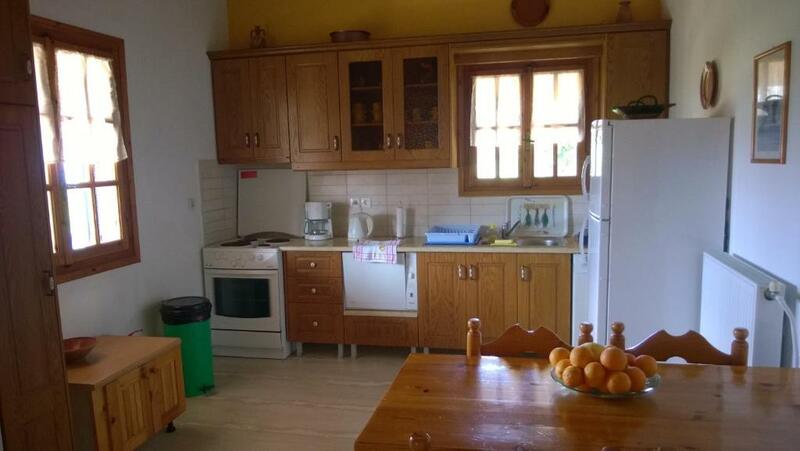 They come with a well-equipped kitchen with a dishwasher, fridge and dining area. They also include a living room with fireplace and TV. In the garden of the complex, guests will find BBQ facilities, as well as a seating area and sun beds. Free parking is available on site. Within 500 feet of the apartments, guests can find a super market. The Venetian Castle of Koroni is 1,000 feet away. 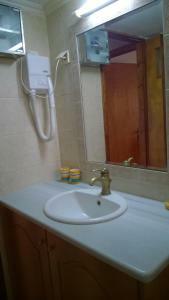 The hotel’s staff can make arrangements for car rentals. When would you like to stay at Sipsas Villas? 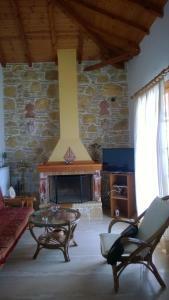 Sea-view apartment with a well-equipped kitchen and fireplace. Τα Sipsas Villas αποτελούνται από 8 διαμερίσματα σε 5 κτήρια. Η περιοχή είναι αμφιθεατρική και όλα έχουν θέα στη θάλασσα. Η παραλία βρίσκεται στα 100 μέτρα χωρίς να παρεμβάλλεται δρόμος, έτσι η διαδρομή δεν είναι επικίνδυνη για μικρά παιδιά. Στην παραλία υπάρχει εστιατόριο και εγκαταστάσεις παραλίας (ομπρέλες, ξαπλώστρες, υπαίθριο ντους). House Rules Sipsas Villas takes special requests – add in the next step! Sipsas Villas accepts these cards and reserves the right to temporarily hold an amount prior to arrival. Please inform Sipsas Villas of your expected arrival time in advance. You can use the Special Requests box when booking, or contact the property directly using the contact details in your confirmation. Be aware of the mosquitos but only during the night! One small thing ... the key to the bathroom door; use it at your peril of being locked in for hours! We removed it and left it on the table. We intended to mention it on departure, but quite forgot, probably because everything else was so good.